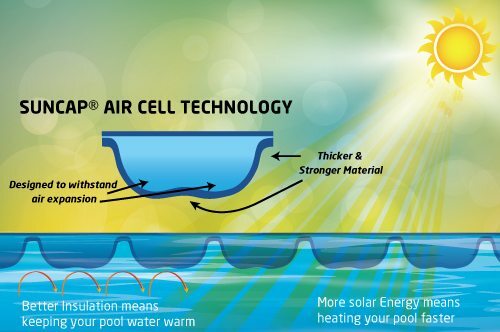 T his New Style Suncap® 600B Solar Pool Cover is designed for ultra performance and strength. The shape and size of the Air Cell are designed to provide outstanding solar heating and thermal properties. Its design allows for air expansion inside the bubble without compromising the strength of the material. 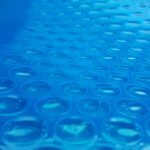 Furthermore the shape and size of the bubble provides superior buoyancy and excellent water adhesion during strong winds, it also rolls up evenly and easily on our roller systems and outperform others. 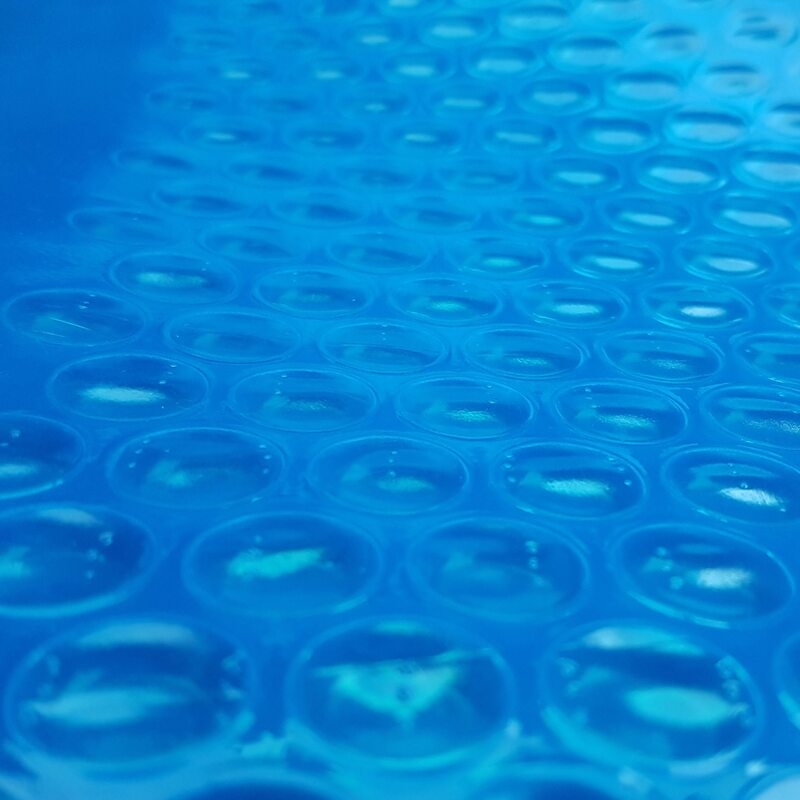 This specially designed 600 microns pool cover provides extended durability and strength. The extra raw material added to the cover layers offers increased thickness and tensile strength including to the air chamber where it matters most. Its extra thickness to the base of the Air Cell will improve the covers life. It also provides outstanding heating and insulation performance and will of course reduce evaporation close to 100%. 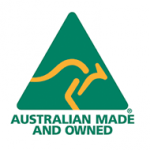 Like all of our pool covers it comes with a manufacturer backed warranty.